Reuters, an international news agency, issued a report on Sept. 10 claiming that General Motors Corp. (GM) is losing $49,000 for every sale of its Chevrolet Volt plug-in hybrid vehicle. GM, the world’s largest automaker in 2011, issued a press release disputing the estimates. Reuters used estimates by industry analysts and manufacturing experts to calculate losses for the Volt, which was introduced two years ago and has a sticker price of more than $40,000. The Volt costs more than $1.2 billion in total to develop. Reuters said some of the leases are extremely low—some customers are paying as low as $5,050 for a two-year lease to drive a car that costs as high as $89,000 to manufacture. This two-year lease calculates into about $210 per month, in contrast to $1,590 per month for a 2013 Mercedes-Benz S-Class base model that costs about $88,232 in San Diego. The Volt is considered one of the most fuel-efficient cars with a gasoline engine in the country, according to the U.S. Environmental Protection Agency. A Volt can travel 38 miles on a fully charged 16.5 kWh T-shaped lithium-ion battery pack. If the gas tank is full, the total driving range is up to 380 miles. It takes 10 to 16 hours to fully charge a battery with a 120V charging unit. The Volt charges with a 16KW/h lithium battery pack. GM said the Reuter report wrongly calculated product development costs across the number of Volts sold. “Reuters’ estimate of the current loss per unit for each Volt sold is grossly wrong, in part because the reporters allocated product development costs across the number of Volts sold instead of allocating across the lifetime volume of the program, which is how business operates. The Reuters’ numbers become more wrong with each Volt sold,” GM said in a statement. However, several industry experts consider the expected lifetime volume, an even more elusive number, because GM may never actually sell enough Volts to distribute the development costs before they have to introduce another model. Reuters contacted a number of industry experts to calculate the estimated production cost of $89,000 per vehicle. Reuters said these consultants have performed work for GM and are familiar with the production of the Volt. Most experts remained anonymous; however, Munro & Associates, who specialize in analysis of vehicle production expenses, openly expressed skepticism that GM will ever sell enough vehicles to bring down Volt’s production costs. About 15 days after the Reuters’ original report was issued, GM confirmed discounts of up to $10,000 for each Volt on the auto-pricing website, TrueCar.com. These incentives are given to buyers as low-interest financing, cash discounts and subsidized leases. In addition, a $7,500 federal tax credit is available as part of President Barack Obama’s green energy policy. This may be raised to $10,000 per vehicle. As a result of the discounts, sales of the Volt quadrupled in 2012 after a year and a half of poor sales. 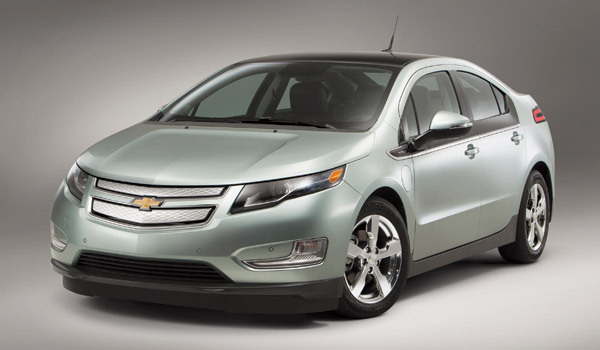 However, the discounts did not increase to $10,000 until August, when the Volt hit a monthly sales record of 2,800. TrueCar.com estimates that the discounts are over four times the industry’s average discount for each vehicle. 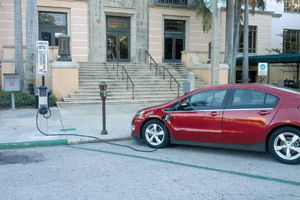 Low customer demand has been affected by the availability of many competing models offered by Nissan, Honda, Mitsubishi and Toyota, as well as consumer perceptions that the Volt is an overpriced electric vehicle. Furthermore, GM’s Michigan assembly plant stopped making Volts for four weeks from the middle of September to the middle of October. It is the second time this year that the plant idled to match supply and demand. Discounts, tax credits and green energy goals can sell cars but sales may not be profitable.